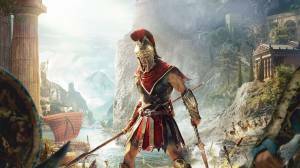 Assassin's Creed Odyssey is an action role-playing video game that is the eleventh major installment, and twentieth overall, in the Assassin's Creed series and the successor to 2017's Assassin's Creed Origins. The game is set in the year 431 BCE, four hundred years prior to the events of Assassin's Creed Origins. It recounts the fictional history of the Peloponnesian War, which was fought between the city-states of ancient Greece. The player takes on the role of an outcast Spartan mercenary (Alexios or Kassandra) as they fight for either Athens and the Delian League or the Peloponnesian League led by Sparta. Whether you decide to play as Alexios or Kassandra both mercenaries must investigate their past on the way to becoming a legendary warrior.